NEW BRITAIN- A dedication ceremony to honor veterans who have participated in the Global War on Terror will be held on Tuesday in commemoration of the 17-year anniversary of Sept. 11. The monument, according to the City of New Britain, will be one of “only a few” in the United States. The ceremony was announced by city Mayor Erin Stewart, chairman of the Veterans Commission and members of the T.G.M. Northwest Veterans Post and will be held at Central Park on Sept. 11 at 4 p.m. The statue will stand alongside the Vietnam, World War II and Korean war memorials. 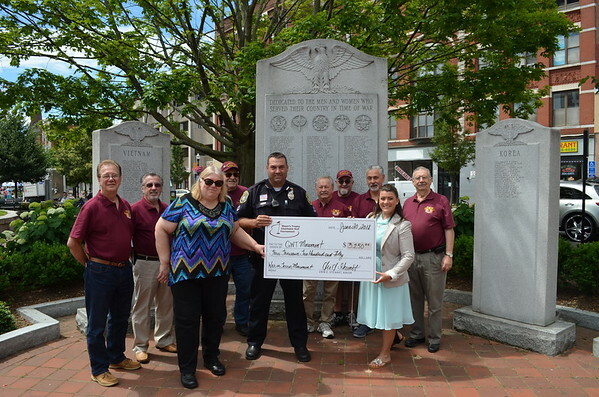 The monument has been long anticipated by the city, as the Northwest Veterans post has been fundraising money for its creation since 2016. The newfound memorial will also become part of the New Britain Veterans and Memorial Day Services that take place in November and May. Posted in New Britain Herald, General News on Thursday, 6 September 2018 18:34. Updated: Thursday, 6 September 2018 18:37.